LINCOLN, Nebraska (May 21, 2015) -- With a simple yet propitious promise that no two nights will ever be the same, seven-time GRAMMY nominee Eric Church has fans repeatedly coming back for more. Last night's The Outsiders World Tour stop at Lincoln, Nebraska's Pinnacle Bank Arena further proved why the man Stereogum called "our greatest working rock star" has notched his fourth North America venue attendance record of 2015 with 15,823 present--a record previously held by Sir Elton John (November 23, 2014; attendance 14,368). With his fervent band backing him the majority of the night, Church performed over two hours of original music with hits "Give Me Back My Hometown" and "Smoke A Little Smoke" interspersed by deeper album cuts like "Longer Gone" and "Livin' Part of Life" emerging from his vast arsenal. "I'm humbled by the success this tour has had," Church adds. "The records it has set, by some of my muses and heroes, it's [all] very surreal. As an avid music fan, I'm not sure it's deserving in comparison to those I adore musically. I can only say this happened because, in my opinion, our fans are second to none." The Outsiders World Tour topped Billboard's Hot Tours last month after Church set a new attendance record at Chicago's Allstate Arena on March 20 with over 18,626 present. Church also shattered Nashville's Bridgestone Arena attendance on January 10 with an unprecedented 18,411 fans assembled for what has now become the first of three sold out shows in 2015 in Music City (Church is opening Nashville's Ascend Amphitheater with two back-to-back sold out shows July 30 & 31). On April 7, he also broke the attendance record in North Dakota's Ralph Engelstad Arena, which was previously set by Sir Elton John's 2012 show. Since launching his tour in September of 2014, Church has performed to over 800,000 fans in more than 65 cities with nearly 20 stops continuing through September 2015. 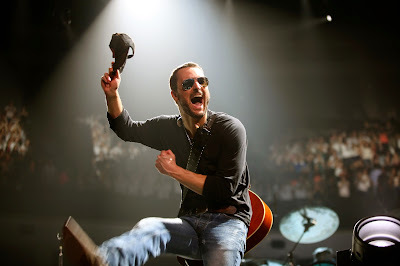 For more information on Church, visit www.EricChurch.com.